PISA is a survey that measures the knowledge and skills of 15-year-olds, who are near the end of compulsory schooling in most participating education systems. 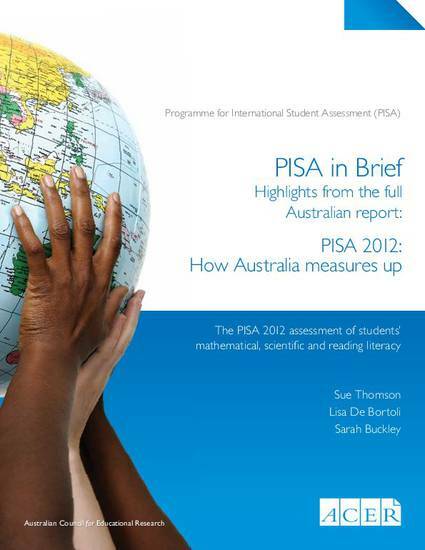 PISA in Brief summarises the results from the PISA 2012 assessment of students’ mathematical, scientific and reading literacy skills. It tells us about how students performed in the assessment and describes some wider findings about what lies behind their results.